Manual processing of any type of film, color, slide or black and white is very similar. The differences between the three are the type of chemicals that are used, the temperature you process them at, and the length of time for each step. Processing color film with chemistry designed for black and white film is possible, but it is a trial and error approach. The results you will receive will not look the same as if the color film had been processed in C-41, the traditional chemistry for color development. But the results could be interesting. Load the exposed roll of color film onto the reels. Either in a changing bag or in a light tight room remove the film from the its container and begin to load onto the reels. This step is tricky and requires it to be done in complete darkness. Practicing with a un-need or practice roll of film in normal light is a good idea. Pour developer into the tank. Depending on the size of tank and number of reels you are using the quantity of developer and other processing chemicals will vary. For a small two reel developing tank the capacity is approximately 20 fluid ounces. Since you are processing color film, that is usually processed at a higher temperature than black and white film, you are going to need to leave the film in the developer solution for a longer period of time. If you are using a 400iso film speed, process the color film in the black and white developer for 12 minutes. Follow the same agitation process of constant agitation for the first 30 seconds, then for five seconds, every half minute. Be sure to tap the developing tank after each agitation to remove dislodge bubbles off of the film. When the processing time is complete, pour out and discard the developer. Pour 20 fluid ounces of stop bath into the developing tanks and agitate for 30 seconds, at which point you will pour out and discard the chemical. Pour 20 fluid ounces of fixing agent into the tank and agitate for 15 seconds, then let the film sit in the solution for five minutes. At the end, pour out and discard the solution. At this point the film is safe to be viewed under normal light. Wash the film. After you have removed the lid of the tank, run the tank with reels still in it under tap for 15 minutes. At the end had two drops of a wetting agent, (either Photo Flo or diluted soap) and the developing process is done. Take the reels out of the tank, remove the film from them and hang to dry. 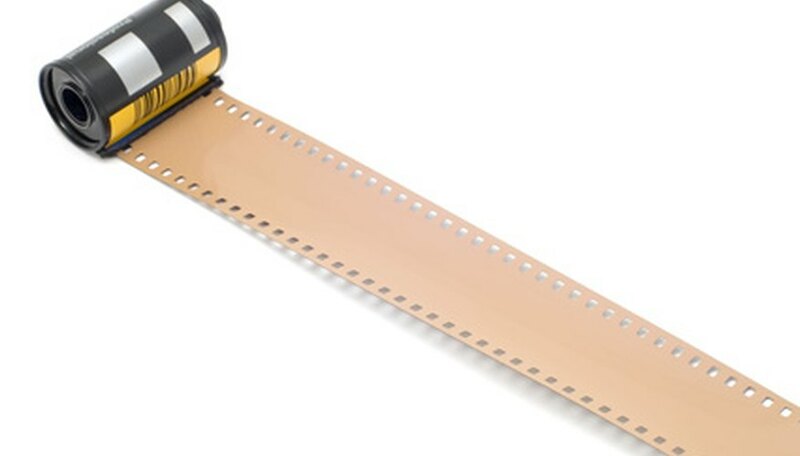 Allow the film to dry for a minimum of two hours then cut the negatives into strips of five of six frames and insert into a archival storage sleeve. Experiment with different processing times and temperatures and record the results you get. Since you are processing a type of film, with chemistry that was never designed to be used with color film it is very difficult to predict the results you will receive. How Long Can I Keep My Film Before Developing It? How Does Polaroid Film Develop?